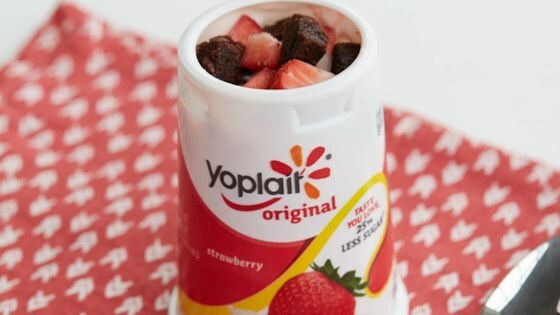 "Indulge in your yogurt with this berries and brownie treat." Remove 1 tablespoon yogurt from yogurt container. Stir in 1 tablespoon of the brownies and 2 teaspoons of the diced strawberries. Top with remaining brownies and strawberries.